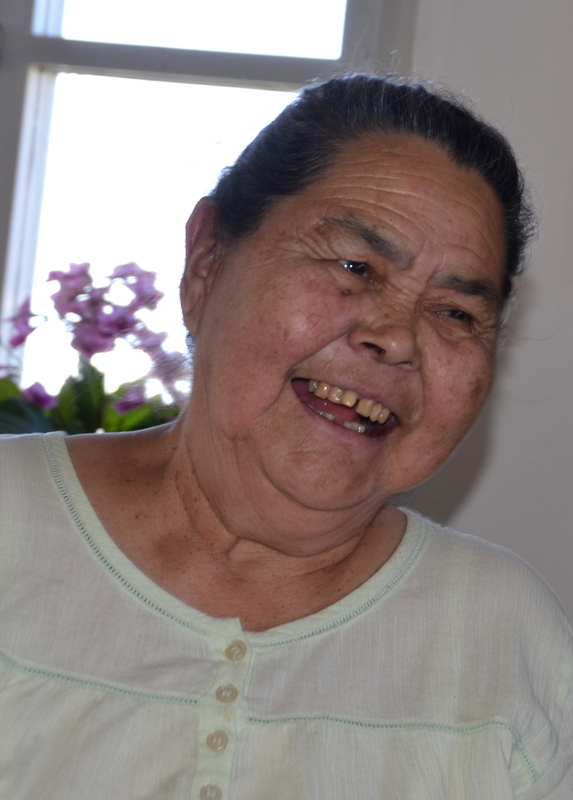 The indigenous Inuit couple is grandparents now and not working much anymore but when they were working, they worked. They worked the dog sled, kept the 12 Husky sled dogs in good health, made a living fishing and kept the family going in the home day in and day out. 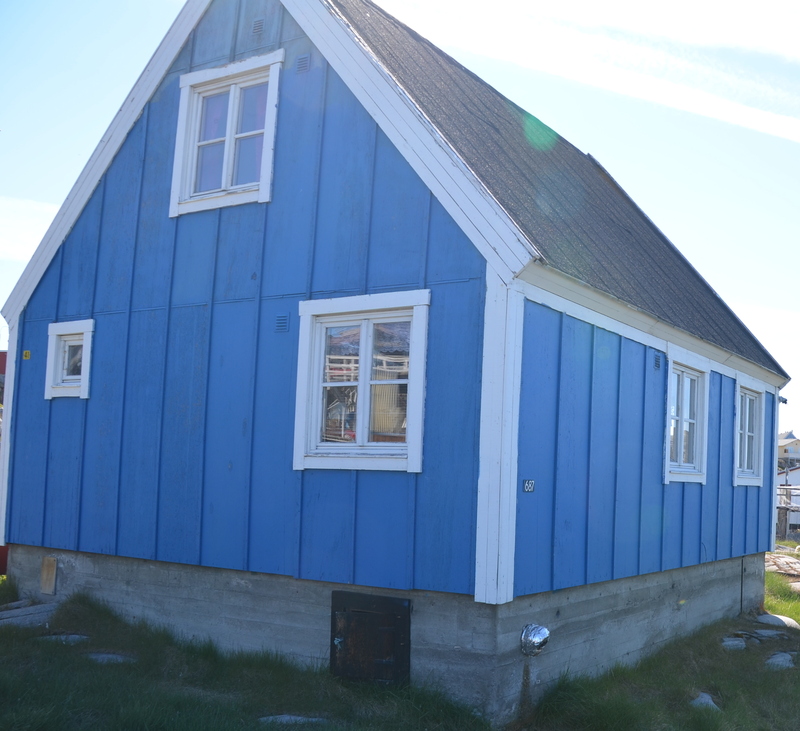 Now, enjoying retirement in their classic bright blue wood house sitting on top of a rock hill overlooking Ilulissat, Greenland, about 120 miles north of the Arctic Circle, Mete and Jonas, take pleasure in the gigantic icebergs produced by the Ilulissat Glacier that float by constantly. Married almost 50 years, they reminisce and show their life from the family photos hanging all over the dining room walls. 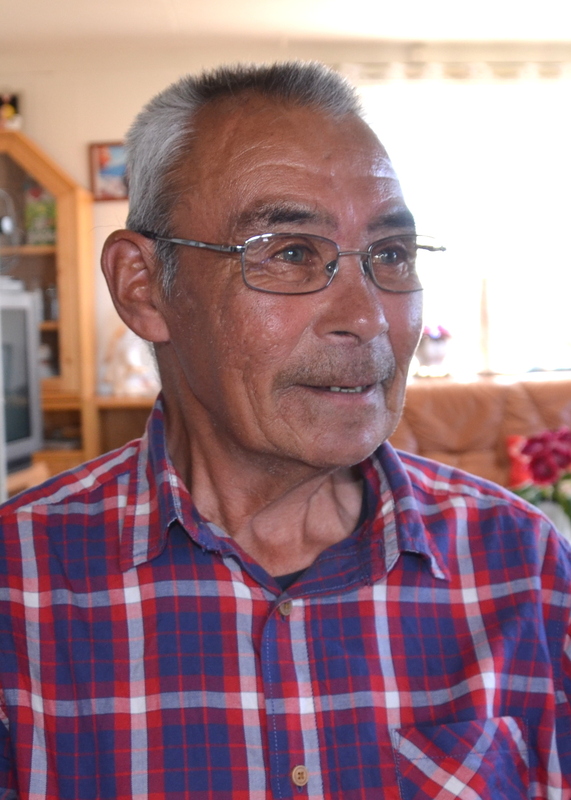 Jonas was a fisherman and fished the mineral rich zooplankton waters in Disko Bay north and south of Ilulissat, catching shrimp and halibut in the winter and shrimp and whale in the summer. The last whale Jonas caught before he retired several years ago was a fin whale “that yielded much meat for the family”, he boasted. It took the small sized Jonas and 5 men to get the whale in the boat in Sisimut, Greenland, south of Ilulissat. A fin whale is the second largest mammal on earth, living deep in ocean waters and the length of 2 buses when an adult. 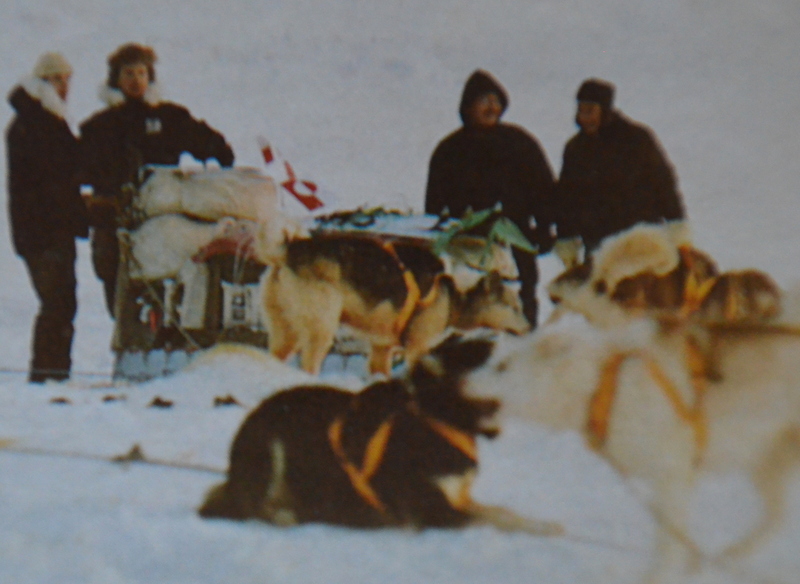 To travel around Ilulissat and places around there, Jonas and Mete would always go by dog sled because in the winter, everything was covered with ice. So the dog sled was priceless to them because it was their only transportation and Jonas could not fish in the winter without it. When he could not fish using a boat, he fished from ice-covered waters and his dog sled took him there. 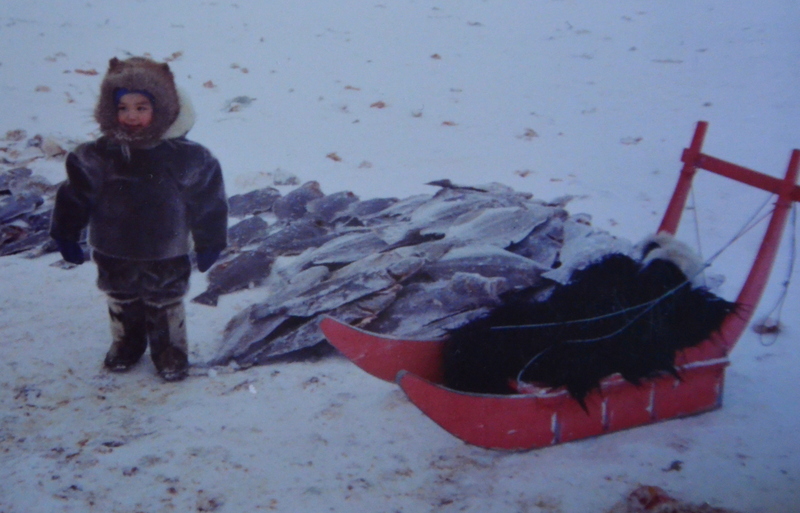 Many times, he remembers, he would fish and fish with the dogs patiently waiting nearby and then he would load up all the halibut he had just caught onto the sled and off they would go to Ilulissat to sell it in the fish market. Jonas even one time took his dog sled reindeer hunting in the northern part of Greenland with the Crown Prince of Denmark. “I was proud of getting that reindeer and the Crown Prince seemed also,” he said. 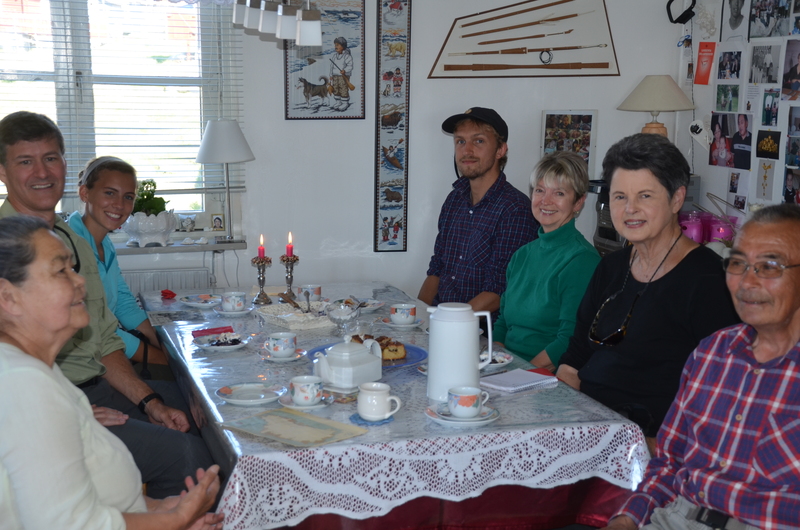 Jonas used to travel from Ilulissat south to Aasiaat, Greenland, in 20 hours by dog sled in 2 days and one night. But winters are not as harsh anymore and Disko Bay has not frozen since 1964 so he didn’t have to wear his seal coat anymore either. Being the dog sled capital of Greenland, Ilulissat has as many dogs as people. In the summer, the dogs have nothing to do but wait for the first snow-ice and then they are ready to perform their favorite thing, pull a dog sled. 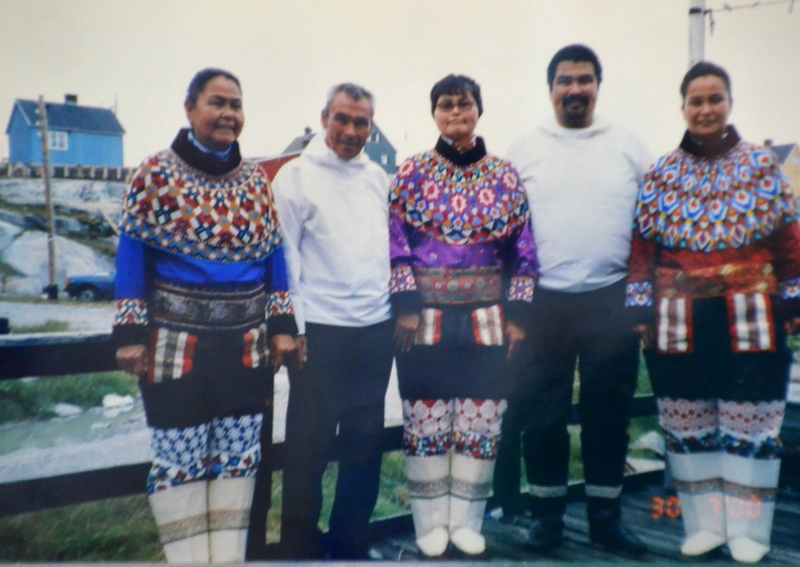 Meanwhile, at home with their children, Mete was keeping food on the table, keeping the 3 children in school, cooking and cleaning, and spending hours making the traditional Greenlandic Inuit outfits for the children and family to wear for traditional outings. And she was keeping up those 12 dogs when Jonas was not using the dog sled. “Oh, they were a lot of work, but we had to have them for our livelihood then, Mete moaned. 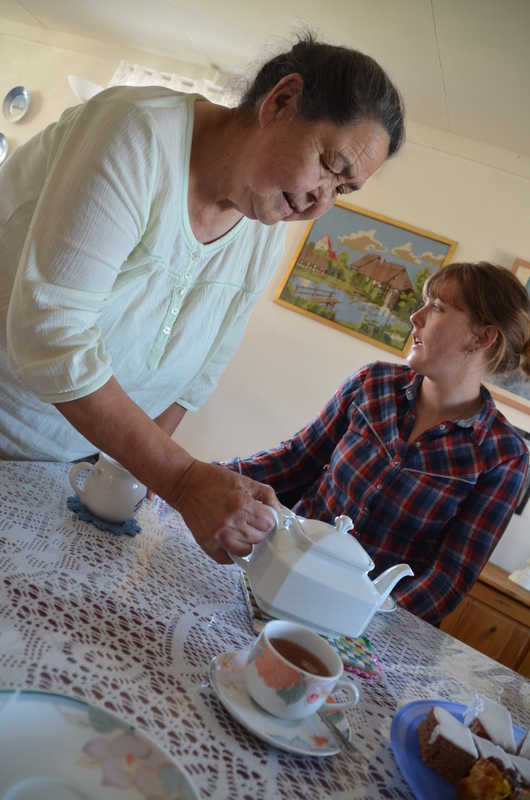 Now, as Jonas and Mete relive their Inuit heritage, dog sled days, fishing adventures and daily hard work, their children work in and around Ilulissat as a teacher, plumber and tax collector, while their grandchildren work the Internet, computers and mobile phones. And they might even enjoy a winter dog sled ride to see grandma and grandpa once in a while.